Brewery Dilewyns is a young family owned brewery arisen from the passion for beer of founder Vincent Dilewyns and his four daughters. In 2005 the first Vicaris beers were born. After 5 successful years, family Dilewyns started their own ultra-modern brewery in Dendermonde. Today, the brewery is led by Vincent and two of his daughters, Anne-Cathérine and Claire Dilewyns. 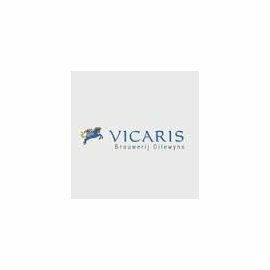 The family brewery brews five beers: Vicaris Tripel, Vicaris Generaal, Vicaris Winter, Vicaris Tripel/Geuze and Vicaris Quinto.